Between 2011 and 2016, the City of Carpinteria completed three projects with a total of 41,110 kWh annual electricity savings through the SCEEP partnership. These projects included lighting upgrades and plug load sensor installations for Carpinteria City Hall. A new boiler and pump were installed at the City Pool using On-Bill Financing saving approximately 6,000 therms annually. In addition to projects through the partnership, the City has replaced all City-owned street lights, the parking lot lighting at City Hall and a downtown parking lot adjacent to the Amtrak station with energy efficient LEDs. During the same period, the City adopted a Sustainable Community Policy to encourage more energy efficient and sustainable development and practices throughout the community. A detailed description of the City’s energy efficiency success and future plans is available in their Energy Action Plan. 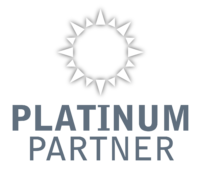 The City of Carpinteria is currently a PLATINUM Partner, the highest partnership level.